A couple of weeks ago my sister asked me if I wanted to go with her to Morristown, NJ. I said sure, far be it from me to turn down a trip…anywhere, really. The first thing I did was to see, what the hell was in Morristown if anything. Lucky for me, there was a plethora of historic houses and a couple historical parks. I hadn’t known it before but Morristown was the site of George Washington’s winter encampment from 1779-1780. A brief history lesson before we get going. Washington chose Morristown for a couple of reasons, however, quite possibly the main reason was that Morristown sat on the top of a small mountain range overlooking the island of New York (Manhattan). 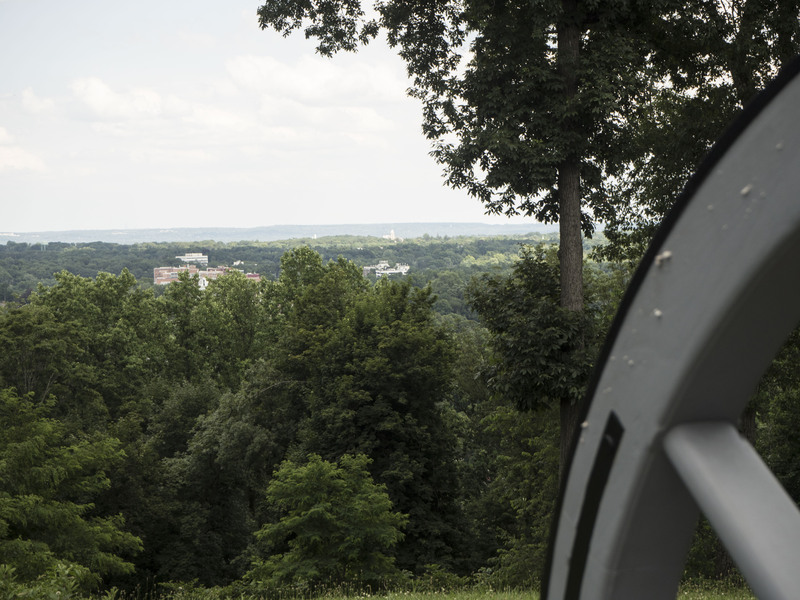 This gave Washington the perfect vantage point, to watch the movements of the British army. 1790 saw one of the worst winters on record. It was said it had snowed 3-4 feet every 3-4 days! Windchill was said to be on average around -20 degrees during the day. Talk about cold. Many of the soldiers that made up the Continental army were poorly outfitted, lacking proper footwear, if any and severely worn clothing. It had been 6 months since Congress had paid any of their soldiers and supply lines tended to be cut off during these snow storms. Washington and his Generals had to take matters into their own hands and typically provided much-needed currency in order to purchase supplies for their troops. Any trip to Morristown should begin at Washington’s headquarters at Ford Mansion. The museum sits behind the Mansion and is where you can purchase tickets for a guided tour of the house. Admission is $6 per person unless you have an Annual Park pass and then your admission is covered. Once past the foyer head to the right and get a brief overview of the Revolutionary War. In the opposite wing, you can see artifacts and memorabilia depicting life during the Colonial times. 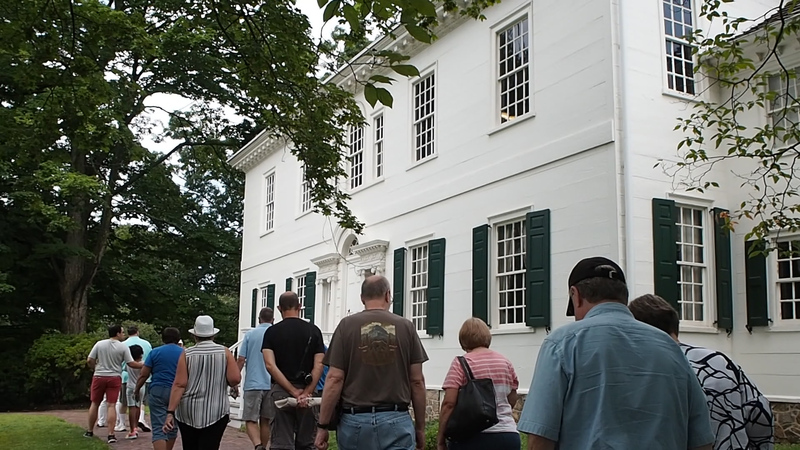 The house tour is given by a Volunteer of the Parks Service and run every half hour with the first one starting at 10 am. Ford Mansion was the headquarters for George Washington and his staff during the winter encampment of 1779. Mr. Ford had been an officer in the Continental army but had passed away from pneumonia in 1777. When Washington came to stay at the Ford Mansion, Mrs. Ford and her four children were moved into two rooms, while the General and his staff took over the rest of the house. The house itself is beautiful. Mr. Ford left no expense when building it. It was done in the Georgian style. From the lintels to the windows, symmetry was found wherever you looked. Much of the house is original including many of the chandeliers, floors, and beams. A good amount of the furniture in the house is original to when Washington was there. 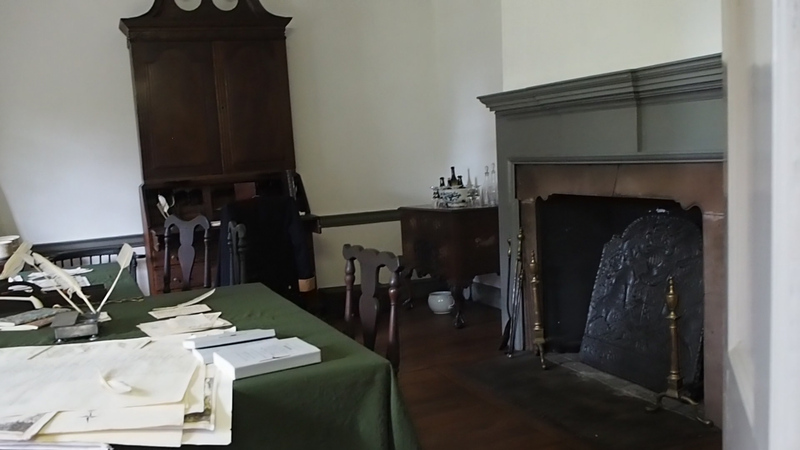 The first two rooms you are shown served as the offices for Washington and his staff, pictured above. The house and its property are maintained by the National Park Service. Give yourself at least an hour and a half to see the house and the museum. 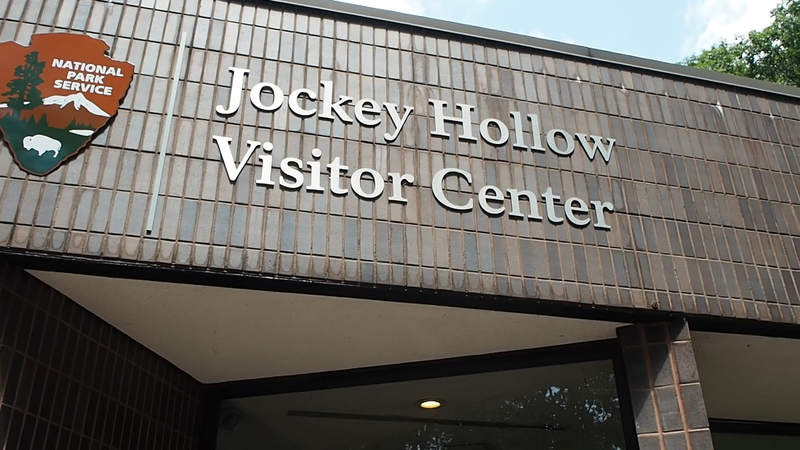 From there you can head over to the Morristown National Historical Park, this is also the site of Jockey Hollow. Jockey Hollow is where the Continental Army camped during the winter of 1779. Around 10,000 men called the area home for that winter and built 1,000 log cabins for housing. Each hut housed 12 men and you can still see some of these huts along the Pennsylvania Line Encampment site. Typically, troops were housed in groups according to which state they came from. Huts here were constructed on the rise of a hill instead of in the valley as they were in Valley Forge. This prevented rampant dysentery and other diseases experienced in Valley Forge. 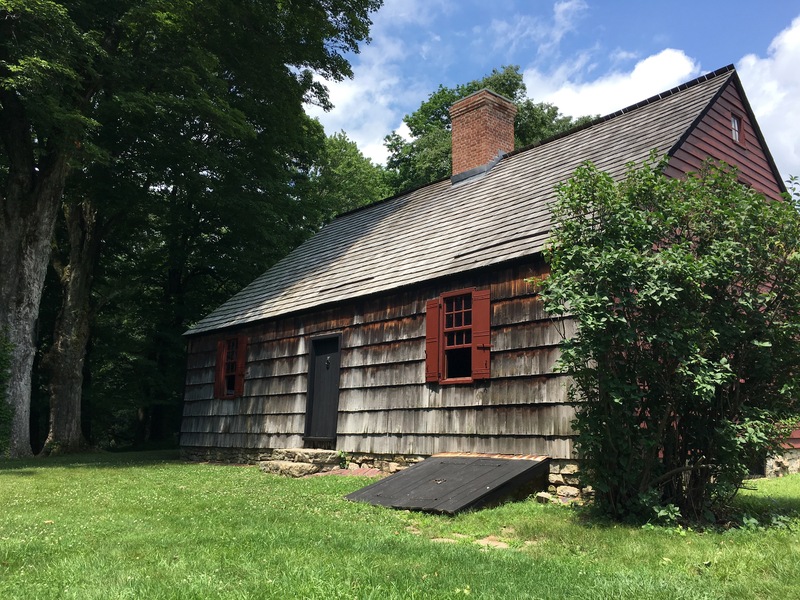 While at Jockey Hollow you can visit the Wick House. Mr. Wick owned the land the encampment was on and you can still see his house as well as their barn, smokehouse, and garden. The garden today is used as a research project to grow and utilize herbs, spices, and vegetables, which would have been commonly used during the time of the late 1700’s. There are quite a few hikes you can take in and around the Park. Trails range from 2 ¼ to 6 ½ miles. Morris county itself has over 35 miles of paths that connect historical sites and nature trails for those of you who love to walk. One of the other places you can visit is Fort Nonsense. Originally named “the Hill” it was built during the spring of 1777. Washington wanted to make sure that they were covered if attached by the British, however, the British never came and the troops who built the fort began to refer to the area as Fort Nonsense because they thought Washington had them build it as busy work. Currently, there is no fort on the site but there is an outline of where the fort stood. 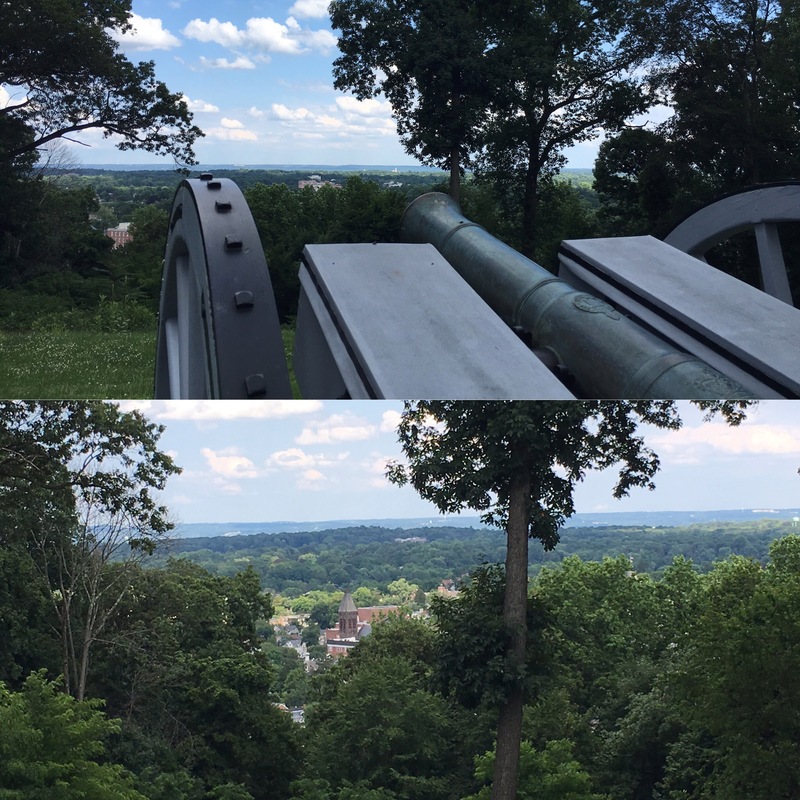 Finding the entrance to Fort Nonsense is tricky but you are rewarded with some great views of Morristown. Morristown itself is a beautiful city. 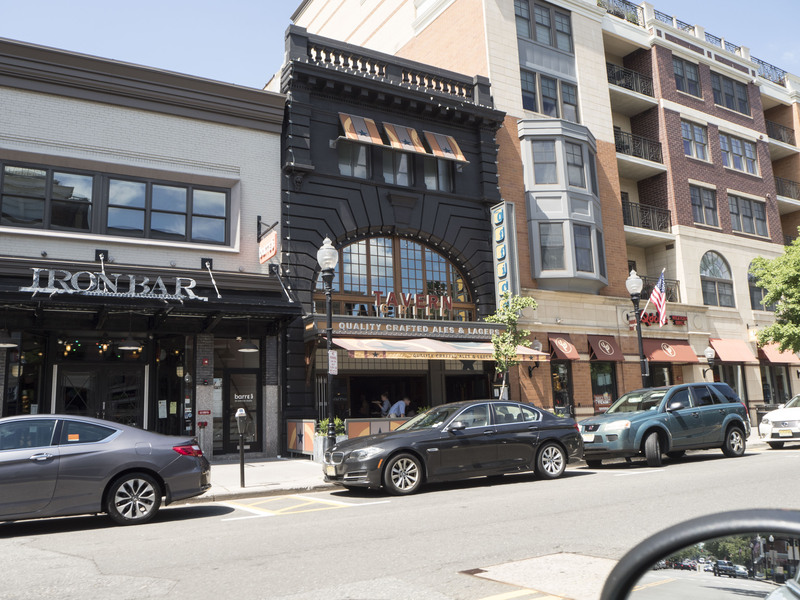 The downtown is extremely walkable and you can find numerous restaurants and places to shop along Washington Street. Many of the businesses are named for George and or Martha Washington. You can see that Morristown is very proud to have called our first President their temporary resident. If you’re looking for something sweet, head to the Swiss Chalet located at 159 South Street. Delectable, fresh butter cookies fill up an entire display along with a variety of pastries, cakes, and donuts. Grab one of their coffee’s which you can fix yourself. It’s a great pick me up. For dinner, I would suggest the Washington St. Bistro. Located at 23 Washington Street, this intimate establishment has a variety of culinary creations from a seasonal vegetable terrine to a Market priced seafood medley. We picked the restaurant because they had quite a few gluten-free options. 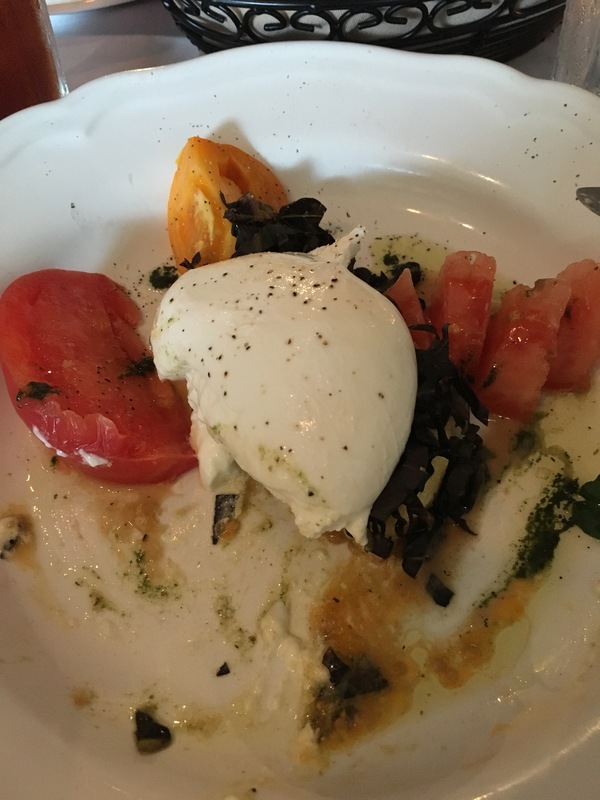 Definitely get the Burrata BLT salad. It is a lighter yet more creative version of a Caprese salad. The “B” in the BLT comes from a warm bacon vinaigrette which is delightful. We also tried the French Onion soup, which was perfection. Not too salty with a great beef flavor. You can also make it gluten-free by substituting their bread. Paired with a side of their Brussels Sprouts which were sautéed with brown butter and bacon and you have a complete meal. It’s a BYOB establishment so bring your favorite vintage and your appetite. There is no shortage of accommodations in Morristown, however, they tend to be a little pricey. We stayed at the Morristown Inn, a Best Western Plus. The room was comfortable and cozy with a substantial breakfast buffet included. Not only did you have your typical continental fare but there was a make your own omelet and waffle stations. You also had the option of oatmeal, eggs, home fries and breakfast meats. As always you can opt to stay in an Airbnb, there were plenty available and if I had made the travel arrangements might have stayed at one of those instead. Not interested in the Revolutionary War? No problem Morristown also has a beautiful arboretum, several theatres including the Shakespeare Theater of New Jersey, and a living historical farm. Make it a weekend or a day trip, either way, there is plenty to see in that part of North Jersey. Until next time. For more information on Morristown and what’s available to do, click on any of the links above! P.S. If anyone has any topics they want me to write about, let me know!